Mayank Mittal receives congratulations from Transport Canada Inspector Peter Cox after the successful completion of Mayank's Class IV Flight Instructor Rating Flight Test on November 4, 2009. David Parry and Peter Cox scatter (timing is everything!) 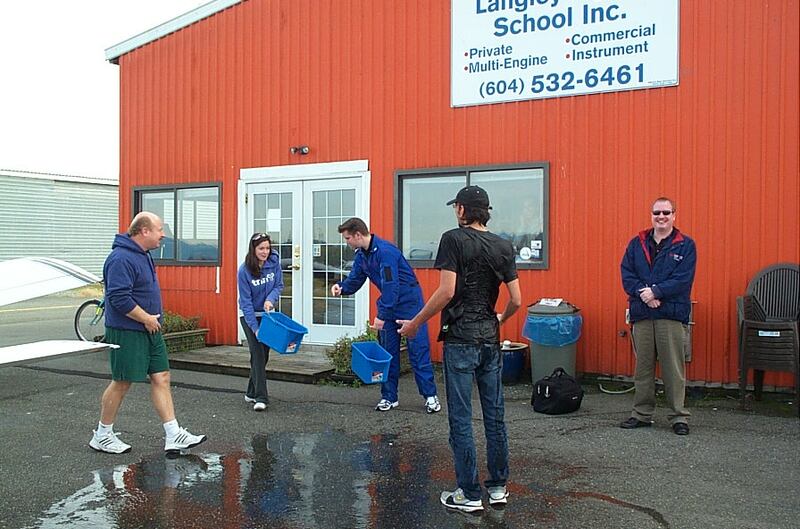 as Mayank gets hit by two buckets of cold water tossed by Flight Instructors Naomi Jones and Philip Craig. Langley Flying School.